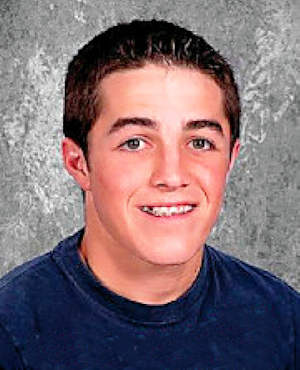 Obituary – McLarty, Brendon Michael « Perry High School Alumni Association, Inc.
Brendon Michael McLarty, 16, of Perry, Oklahoma, was the son of Jon Michael McLarty and Lori Lee (Charbonneau) Davis. He was born on November 21, 1995 in Enid, Oklahoma and went to be with his Heavenly Father on Sunday, May 20, 2012 at Children’s Hospital in Oklahoma City, Oklahoma. Brendon had just completed his sophomore year at Perry High School. He was an avid sportsman showing his talent as a member of the Perry Maroon Football team and the Perry Maroon Baseball team. He enjoyed going to the lake and loved to wake board and water ski. He often joked about going professional as a wake boarder. In his later years Brendon enjoyed going hunting with his friends and family. He was a funny, outspoken young man who was an outstanding role model for his fellow students and other young kids that knew him. He was always putting everyone else before himself. Brendon was known for being an unselfish person who was always looking out for his friends. Brendon’s life was impacted by his faith, family and his friends. His final gift to the world he loved was being able to give life and hope to an unknown stranger through the Life Share Program. Brendon was a member of the St. Rose of Lima Catholic Church and an active member of the youth group. He was currently going through confirmation classes. He will be remembered as a loving and special son, brother, grandson and nephew by all of his family and his friends. He has touched so many in the Perry community and others in so many ways. His memory will live on in the hearts of his friends and family who knew and loved him. Memorial Services will be 8:00 p.m., Friday, May 25, 2012 at Daniels Field in Perry, Oklahoma. Pastor Brett Nation will officiate and assisted by Father Dan Letourneau, Brad Finley, Coach Bryan Hayes and John O’Dell. Funeral Mass will be 10:00 a.m., Saturday, May 26, 2012 at the St. Rose of Lima Catholic Church, Perry, Oklahoma. Father Dan Letourneau will officiate. Interment will be at St. Rose of Lima Catholic Cemetery. Services are under the direction of Brown-Dugger Funeral Home. Memorials may be made to Brendon McLarty Fund in care of Brown-Dugger Funeral Home, 1010 N. 7th Street, Perry, Oklahoma 73077. Brendon is survived by mother, Lori Lee Davis and her husband, Jeff of the homer, father, Jon McLarty of Perry, Oklahoma; four sisters, Taylor McLarty, Morgan McLarty, Kylee McLarty and Aspyn Davis; one brother, Karstyn Davis; maternal grandmother, Linda Charbonneau of Enid, Oklahoma; paternal grandparents, Danny and Pam McLarty of Syracuse, Kansas; maternal grandparents, Jim and Vernona Davis of Perry, Oklahoma; five uncles and aunts, Jason and Amy McLarty of Perry, Oklahoma; Toby and Julie Bainbridge of France; Larry and Ardis Charbonneau of Midalothian, Texas, Lance Charbonneau of Enid, Oklahoma, Steffani Richards of Perry, Oklahoma; numerous cousins. He was preceded in death by his maternal grandfather, Larry Charbonneau.